The National Association of REALTORS® Political Action Committee (RPAC) announced today its enthusiastic endorsement of Paul Cook for Congress in the 8th District of California. “California REALTORS® recognize Paul Cook for his proven record of standing up for homeownership and private property rights in the U.S. House of Representatives, and look forward to his leadership on key real estate issues again in the 115th Congress,” said Cynthia Carley, REALTOR®, of Lake Arrowhead Luxury Properties. “Paul Cook has been a strong leader in standing up for California homeowners and our communities. REALTORS® thank Rep. Cook for supporting critical homeowner tax incentives, blocking additional fees on new mortgage originations to fund other government spending, and fighting proposed EPA regulations that could limit private property rights in California,” said Carley. 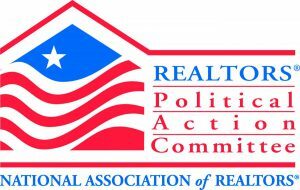 RPAC, the largest trade association Political Action Committee in the United States, follows strict guidelines to ensure that candidates are supported based on their support for issues affecting REALTORS® and not party affiliation. Candidate endorsements and contributions are approved by the National Association of REALTORS® PAC trustees. All trustees are members of the National Association of REALTORS®. Cook stated, “Realtors are pillars of the community, and they’re such an important resource here in the 8th Congressional District. I’m honored to receive their endorsement, and I’ll keep fighting for home owners while in Congress.